Ten of her babies are the “little meats” as my mom calls them…our future dinners. They are Naked Necks, a traditional meat breed. 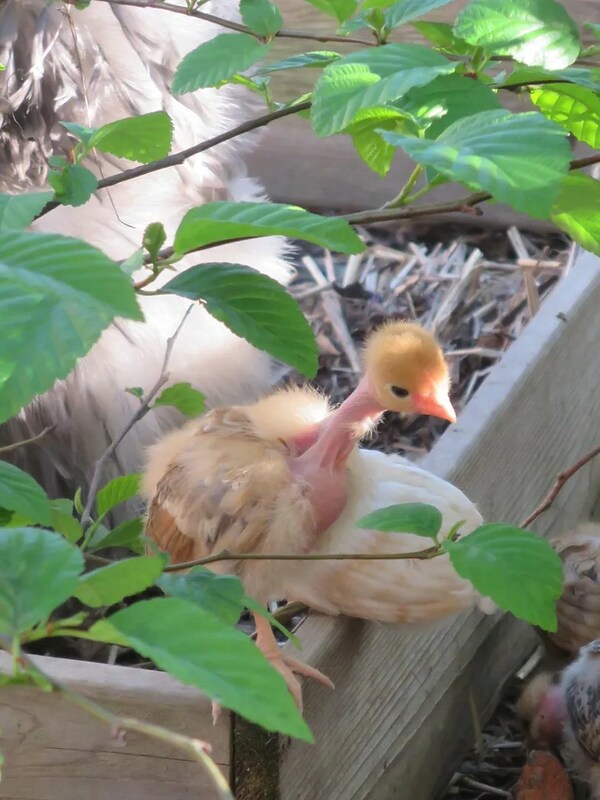 The other is a Golden Sexlink, and we’ll be keeping her as an egg-layer. We might keep just one of the Naked Necks, too. I’m considering keeping my own breeding flock, and I’d like to test the breed and see how I like them as adults. 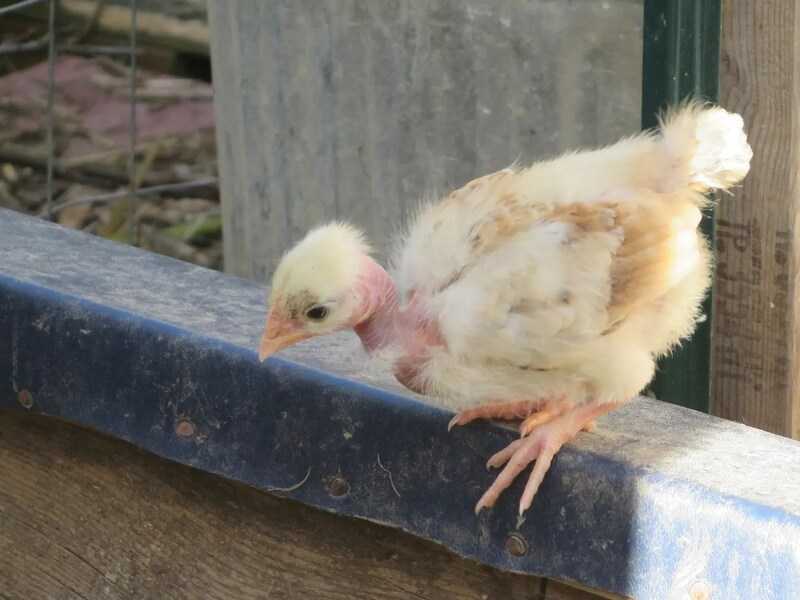 I love raising chicks with a broody hen; there is no fussing over temperature and heaters – the chicks just run free whenever they want, ducking in under mama whenever they get chilly. And they spend a surprising amount of time out in the world, even when they are just a few days old. It makes for stronger, healthier hens, I think. 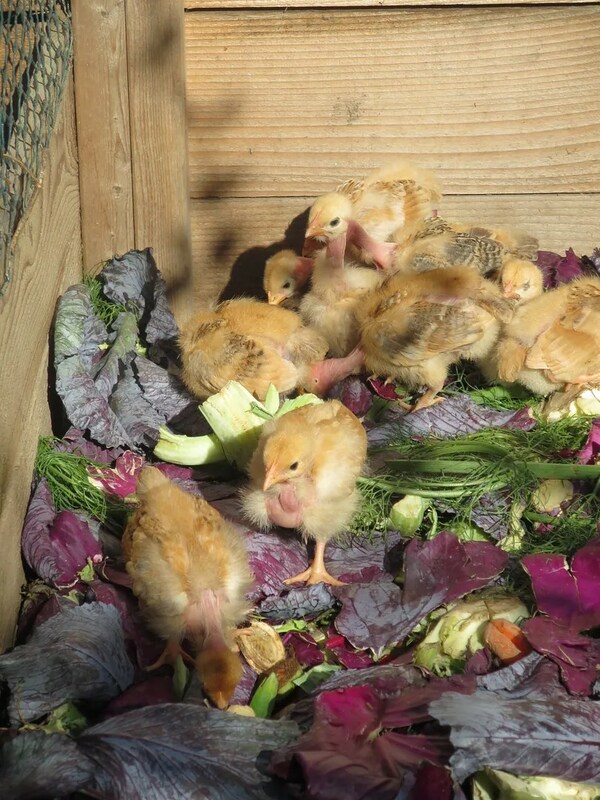 Plus, they eat whatever mama eats, which means lots of greens, bugs, and worms. 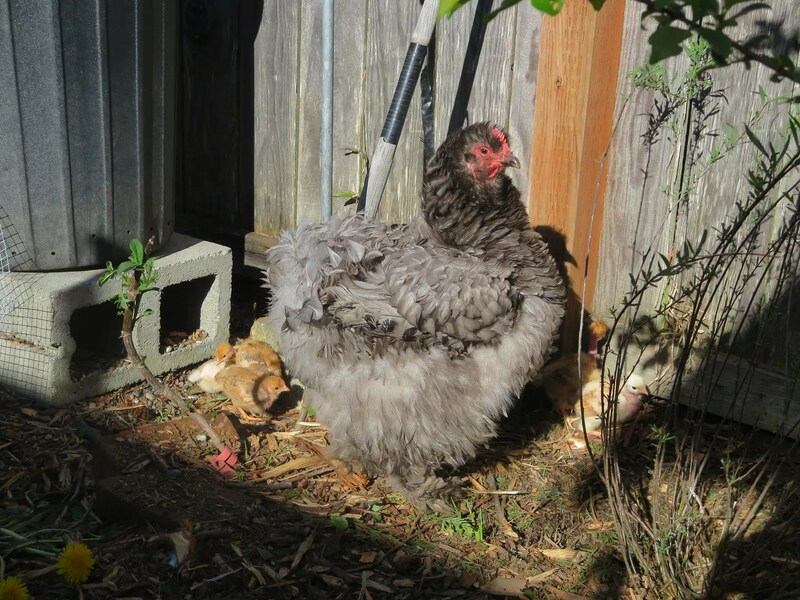 The other adult hens do not bother them, other than a warning peck if they get into trouble. But as they grow up, they gradually grow into the flock, without any of the trauma and difficulty of introducing “stranger birds” into an established flock. 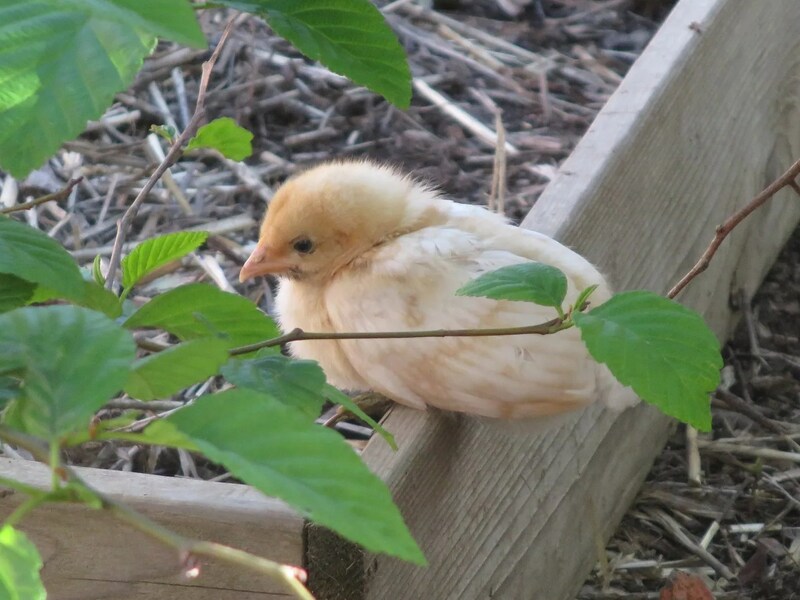 And there is nothing more amusing than watching chicks get into mischief. 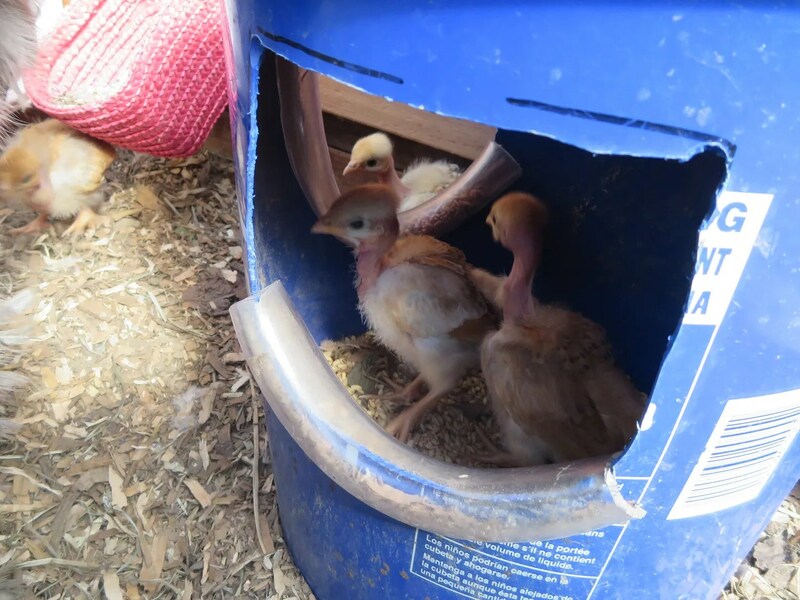 Here they are invading the hens’ food bucket. I came out to do a head count and make sure everyone was ok, and came up missing a few. Here’s where I found them! 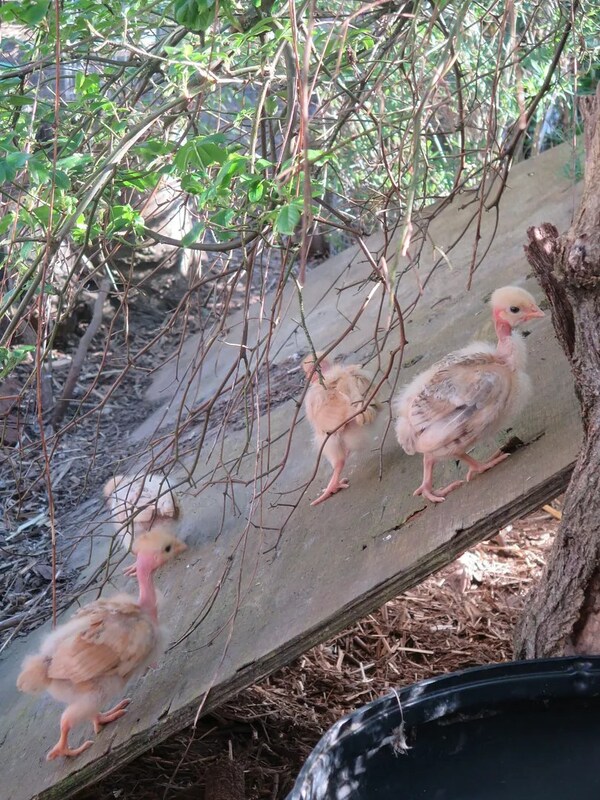 This entry was posted in chickens and tagged broody hen, chicks, naked neck chickens. Bookmark the permalink.